Lance Corporal Kendal Lee Benney, Jr. was born on February 22, 1948 to Mr. and Mrs.Kendal L. Benney of Ypsilanti. Kendal lived with his father and step-mother in Big Rapids, Michigan until September of 1965 where he attended Ypsilanti High School. He left Ypsilanti High School during his Junior year and enlisted in the Marine Corps in March of 1966. 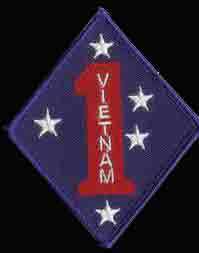 Lance Corporal Kendal Lee Benney, Jr. began his tour of duty in Quang Nam Province, South Vietnam in December of 1966 serving with C Company, First Battalion, Seventh Marines, First Marine Division as a machine gunner. Kendal was killed on August 20, 1967 while standing watch when he suffered multiple fragmentation wounds from a bomb. Lance Corporal Kendal Lee Benney, Jr. is survived by his mother, father, step-mother, two sisters and one brother who was serving in South Vietnam when Kendal was killed. Kendal's brother was discharged from the Army and escorted his brother back to the "World" for internment. Kendal lived 19 years, 5 months and 28 days. He is resting in the Altona Cemetery in Altona, Michigan. Kendal's name is listed on the Vietnam Memorial in Ypsilanti Township under Ypsilanti. His name also appears on the Vietnam Memorial in Washington, DC on Panel 25E Line 018.